You can hire bikes in the Charente Maritime with Bike HireDirect! BikeHire Direct Charente Maritime make it easy for you to rent bikes in the Charente Maritime - there is no need to have the extra hassle of transporting your own bikes... let us know where you are staying and we will deliver bikes directly to your holiday accommodation ready for you to enjoy on your holiday! The region is great for cyclists of all ages and abilities and with over 2500 km of mostly flat cycle paths there is something for everyone. Cyclists in the Charente Maritime can enjoy bike rides along miles and miles of golden white beaches, across vibrant marshlands, through traditional French villages or beautiful countryside scattered with vineyards. As the Charente Maritime is in the second ‘sunniest’ region in France with very low rainfall you can enjoy cycling without having to worry about bad weather! The EuroVelo network consists of 14 cycling routes stretching 70,000 km across Europe. EuroVelo 1, or the Atlantic Coast Route, passes down through the Charente Maritime. The entire route is just over 8186 km long and connects northern Scandinavia to Sagres in the Algarve, Portugal. 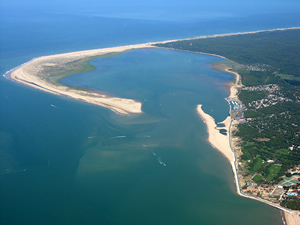 Known as the Velodyssee, this route follows the coast of the Charente Maritime from La Rochelle towards Bordeaux. Voie Vertes are a network of ‘green routes’ crisscrossing across the Charente. The routes can only be used by pedestrians, cyclists and horse riders ... all motorised vehicles are not allowed. The routes are therefore safe and ideal for use by families and those with young children. Throughout the Charente Maritime there are safe, interesting cycle routes in a loop format. Currently many of these routes do not exist on the internet, however, we aim to provide our own reports on such routes so check back on this page often! Gemozac - Full route report in English coming soon! Jonzac - Full route report in English coming soon! La Chapelle des Pots - Full route report in English coming soon! Montguyon - Full route report in English coming soon! Montendre - Full route report in English coming soon! Nieul sur Mer - Full route report in English coming soon! The islands just off the coast of the Charente Martime, Ile de Ré and Ile d'Oléron, are a cyclists dream with miles of bike paths allowing you to explore each island at your leisure. More than 70 km of cycle routes perfect for all ages. Over 100 km of signposted cycle paths, dirt tracks and adventure trails.